William Ryan is the author of two critically acclaimed historical crime novels set in Russia. Born in London he attended Trinity College, Dublin. He practised briefly as a barrister. He has an MA in Creative Writing from St Andrews University and his work has featured in the short story collection Cool Britannia. He currently lives in London with his family. 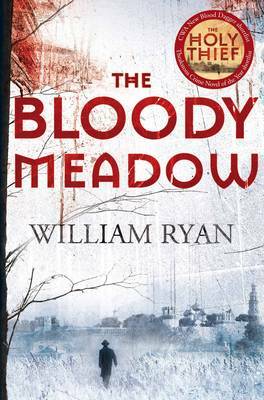 The Bloody Meadow has recently been published in paperback. You practised briefly as a barrister and were also a corporate lawyer what made you decide to change tack and become an author? The funny thing is I never made a very conscious decision to be a lawyer –the Irish university entrance system was based on exam results so if I’d done slightly better in Art I might have ended up doing Psychology and if I’d done a bit worse in English, I’d probably have ended up studying – err – English. I enjoyed studying it though – possibly because the law section in the university library was just beside the history section. And when I finished university it seemed logical to use the degree to become a lawyer. Anyway, writing was something I always did in my spare time and even when I was working long hours in the City I was also writing screenplays and short films. As time went on though I found I had less and less time to write and eventually I had to make a decision – and I chose writing. 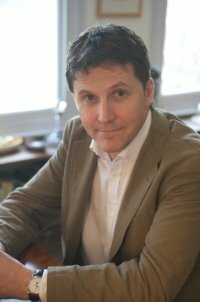 Why did you decided to set your books in Russia and what drew you to that particular period? I suppose I read a lot of Russian novels when I was younger and then became interested in the history. What happened in Europe between the wars is fascinating but the transformation in the Soviet Union during that period was nothing short of extraordinary. And in a place and time where truth and morality were determined on an arbitrary basis by the State I thought it might be interesting to write about a detective whose job is to uncover truth and administer justice. Your first book The Holy Thief was a great success. It was short-listed for a Barry Award for Best First Novel, Theakston’s Old Peculier Crime Award and the CWA John Creasey New Blood Dagger. Were you surprised with the response that it received and what effect did this have on you when it came to writing The Bloody Meadow? I hoped The Holy Thief might turn out to be a good book but you really can't be sure when you're writing something. What seems good to you one day might well seem terrible the next - so you're always a little sceptical. I think that’s a good thing thought as it drives you to work at your writing until it’s as good as you can make it but, of course, it’s also a little stressful when you’ve decided to switch careers in a moment of madness. It was only when The Holy Thief was published and received good reviews that I began to think it mightn’t be so bad after all - and being shortlisted for a fistful of prestigious prizes was a very nice surprise. As for the effect the positive reception had on me writing The Bloody Meadow? Well, it certainly applied a bit of pressure. I think successful series have a degree of variation in them, so I tried to make sure I had that, but I also wanted to make sure The Bloody Meadow was as good as The Holy Thief, if not better. It was a little like staring down the barrel of a gun because, at the end of the day, it was just me, the empty page and the looming deadline. I think it turned out well in the end though – certainly the reviews have been good and the feedback from readers has been very positive, which is great. Where did the idea for the character MVD Captain Alexei Korolev come from? He didn't arrive fully-formed by any means - originally he was called Gagarin, in fact, and that's why his son is called Yuri in the books. But as the real Yuri Gagarin's father was a carpenter rather than a policeman and because that kind of future for one of the characters hangs heavy on a novel I changed it. 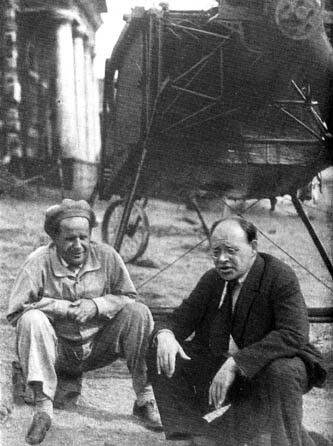 Korolev’s grumpiness, his occasional naivety, and his mixed loyalties – they all developed in the course of working on the novel. And the nice thing about writing, and it happened with Korolev, is that sometimes the character begins to take control and you almost end up taking a back seat. That’s when you know things are really starting to work. Or at least you hope they are. What in your opinion motivates Korelov the most? Is it his sense of faith (he is a closet Christian) or the fact that he is determined to seek justice no matter how hard it is to obtain at times? I'm not sure his morality comes from his Christianity – in fact, I’m not sure he thinks much about his faith. I think his religious belief is just a part of him, like an arm, and not something he’s even really conscious of. That’s probably why he manages to combine his faith with a belief in the aims of the Revolution, even when the Orthodox Church is being violently suppressed. I suspect the morality comes more from the fact that Korolev was brought up well, or so it seems to me, and he feels compelled to do the right thing where at all possible. Of course, in the society he lives this can be a complicated and dangerous thing to do but I think he accepts it’s his fate to try to do his best. That having been said, he does spend quite a lot of time grumbling about that fate. What can I say? He’s complicated. 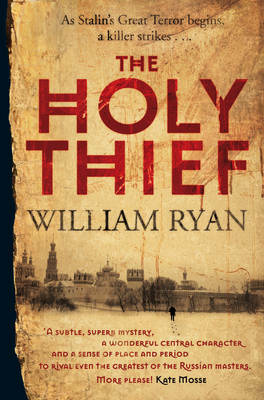 In The Holy Thief an icon is at the centre of the novel what precipitated the idea for the story? More than one miraculous icon was spirited out of Russia during the early years of Soviet rule only to return after the collapse of the USSR. The most famous was probably a copy of Our Lady of Kazan that made its way to the Pope's apartment in the Vatican via a circuitous route and which was returned to the Orthodox Church in 2005. Another, the Tikhvin Virgin, was smuggled out in the thirties and made its way to the Orthodox Church in America before being returned to Russia in 2004. The original Our Lady of Kazan, and there is some dispute as to which icon was the original, was indeed stolen by thieves in 1904 for its gold and gem-encrusted frame. The frame was recovered but not the icon itself which was claimed to have been destroyed. Rumours persist that it survived however and I put those rumours together with the stories of the returned icons and came up with the idea for The Holy Thief. The one real life person that you have included in The Holy Thief is the Russian journalist-writer Isaac Babel. What made you decide to do this? Did this also not bring up the problem of the limitations that you find yourself under when you put a real life person in your books? I think Babel managed to find his way into the novels because he was one of the reasons I began researching the period - his Red Cavalry stories in particular were a major influence. I think if I were writing the novels again, I'm not sure I'd include him because it does make life a little difficult having real characters involved. Particularly because later in the series history will inevitably interfere with fiction as he was arrested in 1939 and executed in early 1940. Was writing The Holy Thief as difficult as you thought it was going to be and what effect did it have on you whilst you were writing The Bloody Meadow? I think once I sat down and started working away at it, it came easily enough. It's the sitting down and the discipline of plodding away to a very long-term goal that's the hard part of writing a novel. There's a lot of self-doubt involved, which isn't always fun, but when you read back over something you've written and feel a little proud of it - that's a nice feeling. Until, of course, you re-read it the next day and decide it’s terrible. I’d like to say The Bloody Meadow was easier to write than The Holy Thief but it wasn’t. Second books are probably the most difficult because you have a deadline and the pressure of following up the first. And it probably didn’t help that we had a baby boy half way through the process. The fictional movie that is at the heart of The Bloody Meadowis based on the long vanished film Bezhin Meadow. Why did you decide to use the film as the basis of Bloody Meadow? Well, one of the good things about having Babel involved in the novels is that he really was one of the screenwriters of Bezhin Meadow. 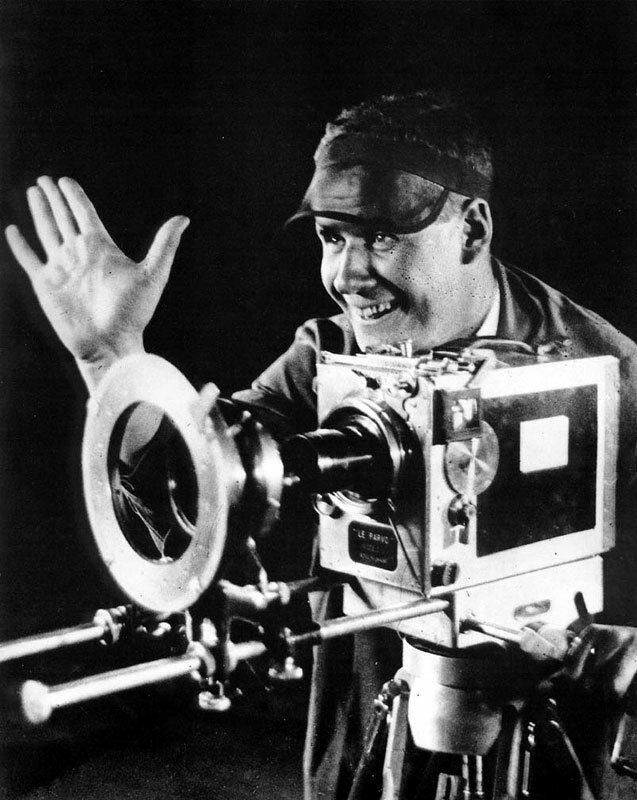 It was directed by the greatest Soviet director of them all, Sergei Eisenstein, but banned before it was released. 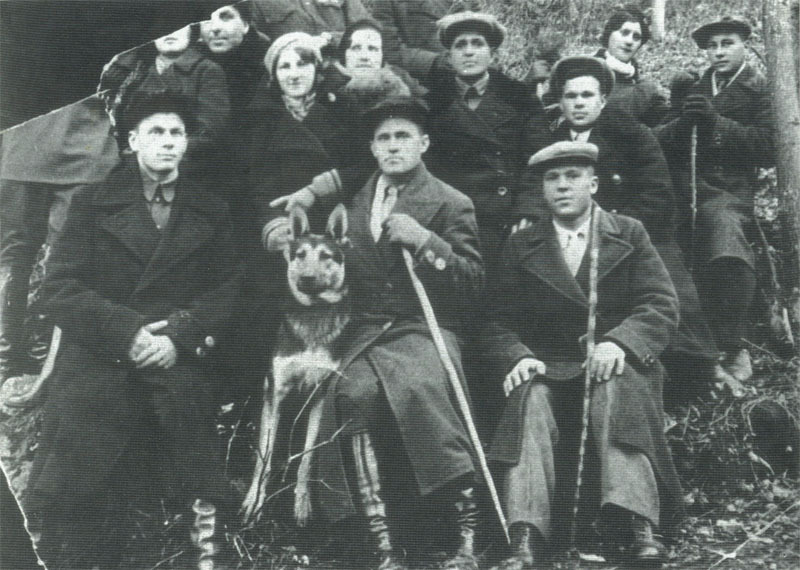 Eisenstein was probably lucky not to end up in the Gulag as a result and it certainly didn’t help Babel’s cause when he was arrested in 1939. As it turned out, the only copy of Bezhin Meadow was destroyed in a Nazi air raid which does seem a little ironic – banned by Stalin, bombed by Hitler – but it also means I could reconstruct a forgotten piece of history with a certain amount of freedom. I think that’s what historical writers like to do. With The Bloody Meadow you have produced an old-fashioned locked-room mystery. Was this your intention? I’m not sure it is a locked room mystery, is it - given it turns out just about everyone has a key. Funnily enough The Holy Thief and The Bloody Meadow have been also been described as thrillers, spy novels, police procedurals and mysteries – all of which labels I suspect have an element of truth to them – but none of which is completely accurate. I don’t really worry too much about that sort of thing though – whatever genre or sub-genre a novel fits into it still has to be well-written, have a proper plot and proper characters and, most importantly, keep the reader turning the pages. That was my real intention – rather than trying to follow a particular plot structure. How difficult is it to portray Stalinist Russia to readers without either being too sympathetic or harsh? Because the novels are written from Korolev's point of view, and the reader knows more than he does about the reality of the situation he finds himself in, I think it allows you to show the reality through Korolev’s unreliable narration. He really believes everything will turn out for the best but we know it’s not going to end well at all – I suppose he’s an over-optimistic unreliable narrator. What problems (if any) do you find yourself coming up against when you are doing research? Some things about the Soviet Union are still very opaque and that can sometimes be a little tough as you have to work your way round the things you can’t be absolutely sure of. But at the end of the day I’m writing fiction so I’ve a bit of leeway and I’m happy to take advantage of that when I need to. Is there a specific reason why the title of your second novel (which was published as The Bloody Meadow in the UK) was changed to the Darkening Field in the US? The American publishers didn't like the name - they thought "Bloody" was too violent and "Meadow" was too twee. It's certainly something I'd resist a lot more strongly if it's ever suggested again - so much is discussed online these days on websites and forums that have English-speaking readers from around the world so having two titles means the American and British publicity end up almost working against each other, not to mention that I think it's confusing for readers. I think the US publishers probably made the decision for the right reasons but we should probably have tried to work out a mutually-acceptable name rather than go in different directions. What really annoys me about it is when readers buy the same book twice – it’s happened to me a few times and it’s infuriating. Without giving too much away could you tell us a bit more about the third book? The Soviet Union was always interested in mind control of one sort or another and Korolev is assigned to investigate two murders at a mysterious institute that may have been researching just that. As the investigation progresses Korolev is worried to find himself in the middle of an internal NKVD turf war and concerned as to why Count Kolya of the Moscow Thieves has decided to assist him in his enquiries. So far, so good – I’m feeling very positive about it. After the third book will we have seen the end of Korelov or can we expect more books in the series? I hope so - the paperback of The Bloody Meadow came out in March and it seems to be doing well. It was shortlisted for the Irish Crime Novel of the Year Award which was a boost and the reviews have been uniformly positive so far. I certainly hope Korolev will be coming back for a few more investigations. What were you looking for in a crime novel that made you decided to write an historical crime novel as opposed to a contemporary one? I think I just wanted to read a detective novel set in 1930s Moscow and, as no one had written one at the time, I decided I might as well do it myself. I’m not ruling out a contemporary crime novel in the future – in fact I have a little project I’m thinking though at the moment which might turn out to be just that. If you could pick another period to set your books in which one would it be and why? Maybe Nazi Germany – I like dictatorships. From a distance, of course. And only to write about, I hasten to add. Are you a reader of crime fiction yourself and if so where do your tastes lie? 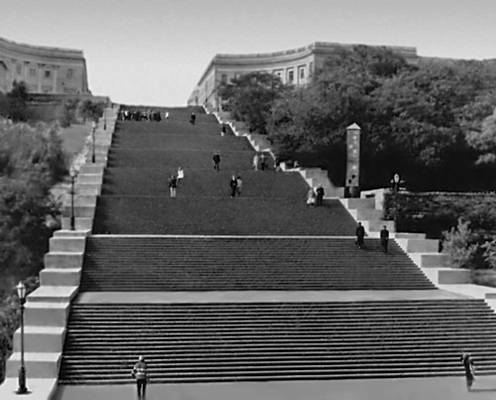 Historical or more contemporary? Who have you been reading lately? I do like historical crime but I’ve recently read M.J. McGrath’s White Heat and Jane Casey’s The Missing, both of which are modern and both of which I thought were excellent. I’ve just started Essie Fox’s The Somnambulist set in Victorian London which has me pretty much gripped at this stage. Oh and I loved Patrick De Witt’s The Sister Brothers. Is there a book that you wish you had written? If so which one and why? Maybe Tibor Fischer’s The Thought Gang. It’s about a one-legged French criminal and a disgraced philosophy lecturer who rob banks according to philosophical principals. I sometimes give it to friends as a present in the vain hope they’ll think I’m as clever and witty as it is. Who were your influences when you decided to start writing? Do other books still influence you and if so what other types of writing are you attracted to? I think every book you read has an influence – even if you hate a book, you learn something from it. My favourite books are often darkly funny – and I hope there’s an element of that in the Korolev novels. Are you easily distracted when you are writing and if so what distracts you the most? The internet is not a writer’s friend, I’ll say that much. But I’m sure if it didn’t exist I’d find something else to distract me. You now have two books published and a third on the way is there anything in hindsight you would change? I try not to rethink the past too much – there’s enough to worry about in the future without adding the past to it as well. There are so many good Irish crime writers around, what do you think of the state of Irish crime writing today? Pretty healthy, I’d say – you can hardly throw a stone in Ireland these days without hitting a successful crime writer. And they’re all so damned talented, what’s worse. I know everybody loves the Scandinavians at the moment but every Irish crime novel I pick up seems to be better than the last. It’s a little depressing ifthe truth be told. No, I think you’ve squeezed me like a lemon, Ayo. I’ve nothing left! Thanks, some great questions and I very much enjoyed it. More information about William Ryan and his books can be found at his website.